Manoj Kumar Meshram was born in Balaghat (MP), India, in 1971. He holds the B.E., M.E., and Ph.D. degree in Electronics Engineering. He has joined Department of Electronics Engineering, Indian Institute of Technology (BHU), Varanasi (erstwhile IT-BHU, Varanasi) in July 2002, where he is working as Associate Professor. He received INSA (Indian National Science Academy) Fellowship 2008-09 from Govt. of India to visit South Korea under Bilateral Exchange program in which he joined Hanyang University (Electronics and Computer Division), South Korea. Further, in the year 2010, he has been awarded with the BOYSCAST (Better Opportunity to Young Scientist in Chosen Area of Science and Technology) fellowship for one year for conducting advance research at McMaster University (Electrical and Computer Engineering), Hamilton, Ontario, Canada, with Prof. Natalia K. Nikolova. Recently (in 2017), he has awarded INSA-DFG Fellowship 2017 from German Research Foundation to carry out research activities in Germany under Bilateral Exchange Program. His research interests include microwave and millimeter wave technolgy, metamaterial, reconfigurable antennas, frequency scanning antenna for radar system, microstrip antenna, UWB antennas, MIMO antennas for handheld devices, tapered slot antenna, ferrites, MMIC, and microwave imaging. He has published about 100 papers in referred international Journals and conferences and 02 text books. He is in the reviewer’s list of several refered journals in India and abroad. He is expert member of the project review committee of the Defence Avionics Research Establishment (DARE), Defence Research and Development Organization (DRDO), India. He has successfully executed the project entitled “Design and Development of Wide Band Vivaldi Antenna Array for Airborne Applications” for the transfer of technology under the CARS scheme of DARE, and it has been processed for batch production by Bharat Electronics Limited (BEL), Bengaluru. He has a founder and Secretary of the society named Academic Society of Science Engineering and Technology, India. He is also a founder and Managing Editor of the Journal “International Journal of Advancement of Microwave Technology(https://www.ijamt.com). Dr. Meshram is a Senior Member of the IEEE, member of Indian Science Congress Association, India, Life Member of Indian Society of Technical Education (ISTE), India, and a Life Member of Institution of Electronics and Telecommunication Engineers (IETE), India. He is a recipient of Gandhian Young Technological Innovation Award-2015 (appreciated under Technology-Edge category) during the Festival of Innovation on 8th March, 2015 at Rashtrapati Bhawan, New Delhi. He received the Best Paper Award during the 87th session of the Indian Science Congress Association in January 2000 at Pune University, Pune, India. 1. Title: Design and Development of Wideband Vivaldi Antenna for Airborne Applications. Left Handed Metamaterials, Zero Index Materaials, Artificial Materials, etc. B. Sahu, S. Singh, M. K. Meshram, and S.P. Singh, “Super-Compact Ultra-Wideband Microstrip Band-Pass Filter with Improved Performance using Defected Ground Structure-Based Low-Pass Filter,” Journal of Electromagnetic Waves and Applications, vol. 32, no. 5, pp. 635-650, Feb. 2018. B. Sahu, S. Singh, M. K. Meshram, and S.P. Singh, “Study of compact microstrip lowpass filter with improved performance using defected ground structure,” International Journal of RF and Microwave Computer‐Aided Engineering, vol. 28, no. 4, May 2018, e21209. (DOI: 10.1002/mmce.21209). S.K. Gupta, M. K. Mesharam, and S Krishnamurthy, "Electromagnetic Radiation 2450 MHz Exposure Causes Cognition Deficit with Mitochondrial Dysfunction and Activation of Intrinsic Pathway of Apoptosis in Rats, Journal of Biosciences, vol. 43, no. 2, pp. 263-276 , 2018. M. Agarwal, A. Kumar Behera, M. K. Meshram, “MIMO-Configured WLAN Access Point Antenna With High Port Isolation,” Journal of Electromagnetic Waves and Applications, vol. 31, no. 10, pp. 1007-1019, 2017. H.S. Singh and M. K. Meshram, “Effect of User Proximity on Internal Quad Band Mobile Phone MIMO/Diversity Antenna Performances,” Wireless Personal Communications, vol. 95, no. 2, 1417-1431, 2017. Pouria Kamalvand, Gaurav Kumar Pandey, and Manoj Kumar Meshram, “A Single Sided Meandered Dual Antenna Structure for UHF RFID Tags,” International Journal of Microwave and Wireless Technologies, vol. 9, No. 7, pp. 1419-1426, 2017. B Sahu, P Tripathi, S Singh, M Kumar Meshram, SP Singh, “Investigation on Compact Modified Wideband Interdigital Bandpass Filter with Wide Stopband using Spurlines and Defected Ground Structures,” Microwave and Optical Technology Letters, vol. 58, no. 11, pp. 2634-2639, 2016. M. Agarwal, A. K. Behera, and M. K. Meshram, “Wide-angle quad-band polarization-insensitive metamaterial absorber,” Electronics Letters, vol. 52, no. 5, pp. 340-342, 2016. Mayank Agarwal, Ashis Kumar Behera, and Manoj Kumar Meshram, “Dual Resonating C-Band with Enhanced Bandwidth and Broad X-Band Metamaterial Absorber,” Applied Physics A: Material Science & Processing, vol. 122 (166), 2016. A.K. Behera, M. Agarwal, and M. K. Meshram, “A hepta-band frequency reconfigurable antenna for mobile handsets with impedance matching technique,” International Journal of Advances in Microwave Techniques (IJAMT), vol.1, no.1, pp. 19-23, May 2016. Gaurav K. Pandey, Hari S. Singh, and Manoj K. Meshram, “Investigations of triple band artificial magnetic conductor back plane with UWB antenna,” Microwave Optical Technology Letters, vol. 58, no. 8, pp. 1900-1906, August 2016. Gaurav Kumar Pandey, Hari Shankar Singh, and Manoj Kumar Meshram, “Platform tolerant UWB antenna over multi-band AMC structure,” Microwave and Optical Technology Letters, vol. 58, issue 5, pp. 1052-1059, May 2016. Gaurav Kumar Pandey, Hari Shankar Singh, and Manoj Kumar Meshram, “Meander-line based inhomogeneous anisotropic artificial material for gain enhancement of UWB Vivaldi antenna,” Applied Physics A: Material Science & Processing, Vol. 122, issue 2, pp. 134 (1-9), Feb. 2016. Gaurav Kumar Pandey, Hari Shankar Singh, Pradutt Kumar Bharti, and Manoj Kumar Meshram, "Design and Analysis of Ψ-Shaped UWB Antenna with Dual Band Notched Characteristics," Wireless Personal Communication, Vol. 89, issue 1, pp 79-92, July 2016. Pouria Kamalvand, Gaurav Kumar Pandey, and Manoj Kumar Meshram, “RFID Tag Antenna for Ultra and Super High Frequency Band Applications,” International Journal of RF and Microwave Computer-Aided Engineering, Vol. 26, Issue 7, 640-650, 2016. Hari Shankar Singh, Shalini, and Manoj Kumar Meshram, "Printed Monopole Diversity Antenna for USB Dongle Applications," Wireless Personal Communication, January 2016, Volume 86, Issue 2, pp 771-787. Gaurav Kumar Pandey, Hari Shankar Singh, Pradutt Kumar Bharti, and Manoj Kumar Meshram, “Design and Analysis of Multi-Band Notched Pitcher-Shaped UWB Antenna,” International Journal of RF and Microwave Computer-Aided Engineering, Vol. 25, no. 9, pp. 795-806, Nov. 2015. Hari Shankar Singh, Gaurav Kumar Pandey, Pradutt Kumar Bharti, and Manoj Kumar Meshram, “Design and Performance Investigation of a Low Profile MIMO/Diversity Antenna for WLAN/ WiMAX/ HIPERLAN Applications with High Isolation,” International Journal of RF and Microwave Computer-Aided Engineering, Vol. 25, No. 6, pp. 510-521, 2015. Pouria Kamalvand, Gaurav Kumar Pandey, Manoj Kumar Meshram, and Alireza Mallahzadeh, “A Single Sided Dual-Antenna Structure for UHF RFID Tag Applications,” International Journal of RF and Microwave Computer-Aided Engineering, Vol. 25, no. 7, pp. 619-628, Sep. 2015. Gaurav Kumar Pandey and Manoj Kumar Meshram, “A Printed High Gain UWB Antenna Design Using Tapered Corrugation and Grating Elements,” International Journal of RF and Microwave Computer-Aided Engineering, Vol. 25, no. 7, pp. 610-618, Sep. 2015. Pradutt Kumar Bharti, Hari Shankar Singh, Gaurav Kumar Pandey, and Manoj Kumar Meshram, “Thin Profile Wideband Printed Monopole Antenna for Slim Mobile Handsets Applications,” Progress In Electromagnetics Research C, Vol. 57, pp. 149-158 2015. Hari Shankar Singh, Gaurav Kumar Pandey, Pradutt Kumar Bharti, and Manoj Kumar Meshram, “Compact Printed Diversity Antenna for LTE700/ GSM1700/ 1800/ UMTS/ Wi-Fi/ Bluetooth/ LTE2300/ 2500 Applications for Slim Mobile Handsets,” Progress In Electromagnetics Research C, Vol. 56, pp. 83-91, 2015. Pradutt Kumar Bharti, Gaurav Kumar Pandey, Hari Shankar Singh, and Manoj Kumar Meshram, “Multiband Shorted Monopole Antenna for Handset Applications,” Microwave Optical Technology Letters, Vol. 57, No. 6, pp. 1459-1466, 2015. Gaurav K. Pandey, Himanshu, and Manoj. K. Meshram, “Compact Antipodal Vivaldi Antenna for UWB Applications,” Electronics Letters, Vol. 51, Iss. 4, pp. 308-310, 2015. G. K. Pandey, H. S. Singh, P. K. Bharti, A. Pandey, and M. K. Meshram, “ High Gain Vivaldi Antenna for Radar and Microwave Imaging Applications,” International Journal of Signal Processing Systems, Vol. 3, No. 1, pp. 35-39, 2015. Hari S. Singh, Gaurav K. Pandey, Pradutt K. Bharti, and Manoj K. Meshram, “A Compact Dual-Band Diversity Antenna for WLAN Applications with High Isolation,” Microwave Optical Technology Letters, Vol. 57, No. 4, pp. 906-912, 2015. Hari S. Singh, Gaurav K. Pandey, Pradutt K. Bharti, and Manoj K. Meshram, “A Low Profile Tri-Band Diversity Antenna For WLAN/Wi-MAX/HIPERLAN Applications With High Isolation,” Microwave Optical Technology Letters, Vol. 57, No. 2, pp. 452-457, 2015. Gaurav Kumar Pandey, Hari Shankar Singh, Pradutt Kumar Bharti, and Manoj Kumar Meshram, “Design of Polarization Insensitive Triple Band Artificial Magnetic Conductor,” International Journal of Advances in Science and Technology, pp. 230-234, 2014. Pradutt K. Bharti, H. S. Singh, G. K. Pandey, and M. K. Meshram, “Coupled fed shorted uniplanar monopole antenna for slim mobile handsets,” International Journal of Microwaves and Optical Technology, Vol. 9, No.5, 346-352, Sep 2014. Pradutt Kumar Bharti, Gaurav Kumar Pandey, Hari Shankar Singh, and Manoj Kumar Meshram, “A Compact Multiband Planar Monopole Antenna for Slim Mobile Handset Applications,” Progress In Electromagnetics Research B, Vol. 61, pp. 31-42, 2014. G. K. Pandey, H. S. Singh, P. K. Bharti, and M. K. Meshram, “Metamaterial Based UWB antenna,” Electronics Letters, Vol. 50, pp. 1266-1268, 2014. Rajesh Singh, Gaurav Kumar Pandey, Mayank Agarwal, Hari Shankar Singh, Pradutt Kumar Bharti, and Manoj Kumar Meshram, “Compact Planar Monopole Antenna with Dual Band Notched Characteristics Using T-Shaped Stub and Rectangular Mushroom Type Electromagnetic Band Gap Structure for UWB and Bluetooth Applications,” Wireless Personal Communications, Vol. 78, pp. 215-230, Sep 2014. Hari Shankar Singh, Mayank Agarwal, Gaurav Kumar Pandey, and Manoj Kumar Meshram, “A Quad-Band Compact Diversity Antenna for GPS L1/Wi-Fi/LTE2500/WiMAX/HIPERLAN1 Applications,” IEEE Antenna and Wireless Propagation Letters, Vol. 13, pp. 249-252, 2014. Mayank Agarwal, Rajesh Singh, and Manoj K. Meshram, “Linearly Polarized Planar Inverted F-Antenna for GPS and WiMAX Applications,” IET Microw. Antennas Propag., Vol. 7, Iss. 12, pp. 991–998, 2013. Hari Shankar Singh, Bhaskarareddy Meruva, Gaurav Kumar Pandey, Pradutt Kumar Bharti, and Manoj Kumar Meshram, “Low Mutual Coupling between MIMO Antennas by using two Folded Shorting Strips,” Progress In Electromagnetics Research B, Vol. 53, 205-221, 2013. Gaurav K. Pandey, Hari S. Singh, Pradutt K. Bharti, and Manoj K. Meshram, “Design of WLAN Band Notched UWB Monopole Antenna with Stepped Geometry Using Modified EBG Structure,” Progress In Electromagnetics Research B, Vol. 50, 201-217, 2013. Pradutt K. Bharti, H. S. Singh, G. K. Pandey, and M. K. Meshram, “Slot Loaded Tri Band Microstrip Antenna for Wireless Applications” International Journal of Microwaves and Optical Technology, Vol. 8, No.3, 120-128, 2013. Pradutt K. Bharti, H. S. Singh, G. K. Pandey, and M. K. Meshram, “Slot Loaded Microstrip Antenna for GPS, Wi-Fi, and WiMAX Applications,” International Journal of Microwaves Applications, Volume 2, No.2, 2013. Manoj K. Meshram, Reza K. Animeh, Ankur T. Pimpale, and Natalia K. Nikolova, “A Novel Quad-Band Diversity Antenna for LTE and Wi-Fi Applications with High Isolation,” IEEE Trans. on Antennas and Propag., Vol.60, No.9, pp.4360-4371, 2012. Yifan Zhang, Natalia K. Nikolova, and Manoj K. Meshram “Design Optimization of Planar Structures Using Self-adjoint Sensitivity Analysis,” IEEE Trans. on Antennas and Propag., Vol.52, No.7, pp.3060-3066, 2012. Amit Kumar Singh, Manoj Kumar Meshram and B.R. Vishvakarma, “L-Strip Proximity Fed Shorted Rectangular Microstrip Antenna for Mobile Communication,” Microwave and Optical Technology Letters, Vol.52, No.7, pp.1567-1571, 2010. Kalpana Chaudhary, B. R. Vishvakarma and M. K. Meshram, “Satellite Solar Power Station: System Architecture, Concept and Technologies,” International Journal of Applied Engineering Research, Vol.4, No. 6, pp. 1063-1069, 2009. Kalpana Chaudhary, B. R. Vishvakarma and M. K. Meshram, “Comparative Analysis of Conversion Efficiency of 2.45 GHz Rectenna Configuration for Microwave Power Transmission,” International Journal of Applied Engineering Research, Vol.4, No. 5, pp. 665-670, 2009. Amit Kumar Singh and Manoj Kumar Meshram, “Slot Loaded Shorted Patch for Dual-band Operation,” Microwave and Optical Technology Letter, Vol. 50, No.4, pp. 1010-1017, 2008. M. K. Meshram, “Analysis of L-Strip Proximity Fed Rectangular Microstrip Antenna for Mobile Base Station,” Microwave and Optical Technology Letters, Vol. No. 8, pp.1817-1824, Aug 2007. Amit Kumar Singh and M. K. Meshram, “Shorting Pin Loaded Dual-band Compact Rectangular Microstrip Antenna,” International Journal of Electronics, U.K. , Vol. 94, Issue 3-4, pp. 237-250, March 2007. Rajesh K Vishwakarma, J.A. Ansari and M.K. Meshram, “Equilateral Triangular Microstrip Antenna for Circular Polarization Dual-Band Operation,” Indian Journal of Radio and Space Physics, Vol. 35, pp. 293-296, August 2006. B. R. Vishvakarma, M. K. Meshram, and W. A. Thanoon, “An E-Plane Ferrite Loaded Simple Wave Guide Radiator,” IEEE Trans. Ant. & Prop. vol.51, No. 6, pp.1315-1320, June 2003. M. K. Meshram, and B. R. Vishvakarma, “Gap-Coupled Microstrip Array Antenna for Wide Band Operation,” Int. J. Electronics (U.K.), Vol. 88, No. 11, pp. 1161-1175, 2001. M. K. Meshram, and B. R. Vishvakarma, “Scanning Characteristics of Ferrite Fed Microstrip Array Antenna,” Int. J. Electronics (U.K.), Vol. 88, No. 5, pp. 549-559, 2001. M. K. Meshram, and B. R. Vishvakarma, “Analysis of A Gap-Coupled Microstrip Array Antenna,” IETE Technical Review, vol. 18, no. 2, pp. 147-152, March-April 2001. Hari Shankar Singh and Manoj Kumar Meshram, “Design of Compact Dual-Element Antenna Array for LTE700 and WWAN Applications,” Applied Computational Electromagnetics Symposium (ACES-2017), March 26-30, 2017, Firenze, Italy. Mayank Agarwal and Manoj Kumar Meshram, “Four-element highly isolated MIMO antenna system for 5 GHz WLAN applications,” 104 th Indian Science Congress (ISC), Tirupati, AP, Jan. 3-7, 2017. Mayank Agarwal, Ashis K. Behera, and Manoj K. Meshram, “Annular ring based metamaterial absorber for S- and C-band applications,” 16 th Mediterranean Microwave Symposium (MMS 2016), Abu Dhabi, UAE, Nov. 14-16, 2016. Hari Shankar Singh, Gaurav Kumar Pandey, and Manoj Kumar Meshram, “Internal Coupled-Fed Four-Element Multi-Wideband Diversity Antenna for LTE Mobile Handsets,” Applied Electromagnetics Conference (AEMC-2015), December 18-21, 2015, IIT Guwahati, India. Hari Shankar Singh, Gaurav Kumar Pandey, Pradutt K Bharti, Rajesh Singh, and Manoj Kumar Meshram, “Internal Compact Quad-Band Diversity Antenna for Next Generation Mobile Handsets Applications” Antenna Test and Measurement Society (ATMS), Feb. 3-4, 2015, Banglore, India. Gaurav Kumar Pandey, Hari Shankar Singh, Pradutt K Bharti, and Manoj Kumar Meshram, “Application of Polarization Insensitive Triple Band Artificial Magnetic Conductor with a UWB antenna” Antenna Test and Measurement Society (ATMS), Feb. 3-4, 2015, Banglore, India. (Best Paper Award). H. S. Singh, G. K. Pandey, P. K. Bharti, and M. K. Meshram, “Design of Low Profile Ultra Wideband PIFA for MIMO Applications,” IEEE Region 10 Symposium (IEEE TENSYMP 2014), pp.448-453, 14-16 April-2014, Kuala Lumpur, Malayasia. G. K. Pandey, H. S. Singh, P. K. Bharti, and M. K. Meshram, “Metamaterial based Compact Antenna design for UWB Applications,” IEEE Region 10 Symposium (IEEE TENSYMP 2014), pp.78-81, 14-16 April-2014, Kuala Lumpur, Malayasia. Hari Shankar Singh, Gaurav Kumar Pandey, Pradutt Kumar Bharti, Mayank Agarwal, and Manoj Kumar Meshram, “A Quad Band Four Element MIMO Antenna System with Pattern and Polarization Diversity,” Indian Antenna Week (IAW-2014), May 26-30, 2014, Chandigarh, India. H. S. Singh, P. K. Bharti, G. K. Pandey, and M. K. Meshram, “Compact Penta-Band Coupled-Fed Printed Monopole MIMO/Diversity Antenna for Smart Mobile Phone,” International Conference on Microwave and Photonics (ICMAP-2013), pp. 1-5, 13-15 December 2013, Dhanbad, India. Gaurav Kumar Pandey, Hari Shankar Singh, Pradutt Kumar Bharti, and Manoj Kumar Meshram, “Design of Polarization Insensitive Triple Band Artificial Magnetic Conductor” International Conferences on Electronics and Electrical Engineering (ICAEEE-2014), November 08-09, 2014, Pattaya, Thailand. Hari Shankar Singh, Gaurav Kumar Pandey, Pradutt Kumar Bharti, and Manoj Kumar Meshram, “Design of Polarization Insensitive Triple Band Artificial Magnetic Conductor” International Conferences on Electronics and Electrical Engineering (ICAEEE-2014), November 08-09, 2014, Pattaya, Thailand. (Best Paper Award). Shravan Kumar Vaishya, Gaurav Kumar Pandey, Hari Shankar Singh, and Manoj Kumar Meshram, “Broadband Circular polarized Four Arm Sinuous Antenna,” Souvenir of the 10th International Conference on Microwaves Antenna Propagation & Remote Sensing (ICMARS-2013), Jodhpur,pp. 175-177, Dec 9-12, India. Satish Jhariya, Gaurav Kumar Pandey, Hari Shankar Singh, Manoj Kumar Meshram, “Miniaturized Vivaldi Antenna with Gaussian Slot for UWB Applications,” Souvenir of the 10th International Conference on Microwaves Antenna Propagation & Remote Sensing (ICMARS-2013), Jodhpur, pp. 219-221, Dec 9-12, India. Mohit Kumar Saxena, Gaurav Kumar Pandey, Hari Shankar Singh, and Manoj Kumar Meshram, “Dual Antenna Structure for Passive RFID Tags,” Souvenir of the 10th International Conference on Microwaves Antenna Propagation & Remote Sensing (ICMARS-2013), Jodhpur, pp. 179-182, Dec 9-12, India. Awadhesh Singh, Gaurav K. Pandey, Sachin Kalraiya, Hari Shankar Singh, and Manoj K. Meshram, “Design of Modified Rhomboidal Dualband Antenna for Bluetooth and UWB Applications,” IEEE Students’ Technology Symposium, Khadagpur, pp. 368-371, 28 Feb.-2 March, 2014 India. P. K. Bharti, H. S. Singh, G. K. Pandey, and M. K. Meshram, “Compact Six-Band Coupled-fed Planar Inverted-F Antenna for Slim Mobile Phone,” International Conference on Microwave and Photonics (ICMAP - 2013), pp. 1-4, 13-15 December 2013, Dhanbad, India. G. K. Pandey, H. S. Singh, P. K. Bharti, and M. K. Meshram, “UWB Monopole Antenna with Enhanced Gain and Stable Radiation Pattern using Gate like Structures,” International Conference on Microwave and Photonics (ICMAP - 2013), pp. 1-4, 13-15 December 2013, Dhanbad, India. Awadhesh Singh, Gaurav K. Pandey, Hari Shankar Singh, Sachin Kalraiya, and Manoj K. Meshram, “CPW-Fed Double Ring Shaped UWB Antenna with 3.5/5.5 GHz Dual Band Notched Characteristics,” Souvenir of the 9th International Conference on Microwaves Antenna Propagation & Remote Sensing (ICMARS-2013), Dec 11-14, 2013, Jodhpur, INDIA. Shalini, Hari S. Singh, G. K Pandey, Pradutt K. Bharti, Himanshu, and Manoj K. Meshram, “Octa-Band Monopole MIMO Antenna for Small Mobile Terminals,” Souvenir of the 9th International Conference on Microwaves Antenna Propagation & Remote Sensing (ICMARS-2013), Jodhpur, Dec 11-14, INDIA. Sachin Kalraiya, Hari Shankar Singh, Gaurav K. Pandey, Awadhesh Singh, and Manoj K. Meshram, “CPW-Fed Double Ring Shaped UWB Antenna with 3.5/5.5 GHz Dual Band Notched Characteristics,” Souvenir of the 9th International Conference on Microwaves Antenna Propagation & Remote Sensing (ICMARS-2013), Jodhpur, Dec 11-14, INDIA. Hari S. Singh, Gaurav K. Pandey, Pradutt K. Bharti, and Manoj K. Meshram, “Spiral-shaped High Isolated Monopole MIMO/Diversity Antenna for Small Mobile Terminals” CACCS-2013, April 6-8, Dehradun, India. Hari S. Singh, Gaurav K. Pandey, Pradutt K. Bharti, and Manoj K. Meshram, “A Compact Dual Band MIMO/Diversity Antenna for WLAN Applications” Engineering and Systems (SCES), 2013 Students Conference , April 12-14, Allahabad, India. Mayank Agarwal, Rajesh Singh, and Manoj K. Meshram, “Dual-band linearly polarized planar inverted-F antenna (PIFA) for GPS/WiMAX applications,” 2 nd Students’ Conference on Engineering and Systems (SCES 2013), IEEE student branch, MNNIT, Allahabad, India, April 12-14, 2013. Hari Shankar Singh, Pradutt Kumar Bharti, Gaurav Kumar Pandey and Manoj Kumar Meshram, “A Compact Tri-Band MIMO/Diversity Antenna for Mobile Handsets,” IEEE International Conference on Electronics, Computing and Communication Technologies (CONECCT-2013), Jan 17-19, 2013, Bangalore, INDIA. Gaurav K. Pandey, Hari S. Singh, Pradutt K. Bharti, and Manoj K. Meshram, “Design of Stepped Monopole UWB Antenna with WLAN Band Notched Using Modified Mushroom Type EBG Structure,” IEEE International Conference on Electronics, Computing and Communication Technologies (CONECCT-2013), Jan 17-19, 2013, Bangalore, INDIA. Hari S. Singh, Pradutt K. Bharti, Gaurav K. Pandey, and Manoj K. Meshram, “A Novel Diversity Antenna For WLAN Applications” National Conference on Recent Trends on Microwave Techniques and Applications (Microwave - 2012), July 30- Aug 1, 2012, Jaipur, India. Gaurav K Pandey, H S Singh, Pradutt K Bharti, and Manoj K Meshram, “Design of Corrugated Vivaldi Antenna for UWB Applications” National Conference on Recent Trends on Microwave Techniques and Applications (Microwave - 2012), July 30- Aug 1, 2012, Jaipur, India. Hari Shankar Singh, P. K. Bharti, G. K. Pandey, and M. K. Meshram, “A Novel MIMO/Diversity Antenna for GSM1800 and WiMAX Applications,” Souvenir of the 8th International Conference on Microwaves Antenna Propagation & Remote Sensing (ICMARS-2012), December 11-15, 2012, Jodhpur, INDIA. Pradutt K. Bharti, Hari S. Singh, G. K. Pandey, and Manoj K. Meshram, “Fork-Shaped Slot Loaded Microstrip Antenna for ISM and WiMAX applications,” Souvenir of the 8th International Conference on Microwaves Antenna Propagation & Remote Sensing (ICMARS-2012), December 11-15, 2012, Jodhpur, INDIA. Gaurav K. Pandey, Hari S. Singh, Pradutt K. Bharti, and Manoj K. Meshram, “Design of Dual Band Notched UWB Elliptical Monopole Antenna Using Mushroom Type EBG Structure,” Souvenir of the 8th International Conference on Microwaves Antenna Propagation & Remote Sensing (ICMARS-2012), December 11-15, 2012, Jodhpur, INDIA. Rajesh Singh, Mayank Agarwal, and Manoj K Meshram, “A Novel Planar UWB Antenna with WLAN Band Notched Characteristics,” Souvenir of the 8th International Conference on Microwaves Antenna Propagation & Remote Sensing (ICMARS-2012), December 11-15, 2012, Jodhpur, INDIA. Rahul Agrawal, Girish Awadhwal, M.K. Meshram, and S.P. Singh, “A Novel Reconfigurable Multiband Patch Antenna”, IEEE Students’ Conference on Electrical, Electronics and Computer Sciences, March 1-2, 2012, MANIT Bhopal, pp. 277-280. Girish Awadhwal, Pawan Mahicha, P. K. Bharti, and M. K. Meshram, “Antenna for Ultrawideband Applicxations with WLAN Band Notched Characteristics”, IEEE Students’ Conference on Electrical, Electronics and Computer Sciences, March 1-2, 2012, MANIT Bhopal, pp. 285-289. Yifan Zhang, Ankur Pimpale, Manoj K. Meshram, and Natalia K. Nikolova, "Printed Antenna Design using Sensitivity Analysis based on Method of Moment Solutions", IEEE Radio and Wireless Symposium (RWS-2012), 15-19 Jan, 2012, Santa Clara, CA, USA. Yifan Zhang, Manoj K. Meshram, and Natalia K. Nikolova, “S-parameter Sensitivity Analysis of Planar Antennas using Self-adjoint Approach with the Method of Moments” The 27th Annual Review of Progress in Applied Computational Electromagnetics ACES 2011, March 27-31, 2011, Williamsburg, Virginia, USA. Amit Kumar Singh, Abhay Kotnala and Manoj Kumar Meshram, “L-Strip Proximity Fed Shorted Microstrip Antenna for Dual Band Operation”, ISMOT 2009, Dec. 16-19, New Delhi, India, pp.365-369. A. K. Singh and M. K. Meshram, “Slot-Loaded Shorted Rectangular Microstrip Antenna for Mobile Communication”, Asia Pacific Microwave Conference (APMC), December 11-14, 2007, Bangkok, Thailand, pp 1-4. Manoj Kumar Meshram and A.K. Singh, “Parametric study of L-strip Proximity Fed Rectangular Microstrip Antenna”, International Conference on Microwaves and Optoelectronics (ICMO), Dec 17-20, 2007, Aurangabad (MS). A. K. Singh and M. K. Meshram, “Shorted Rectangular Microstrip Antenna for Dual-Band Operation”, Poster Session, Wednesday, July 12, 2006, URSI, New Maxico, 9-14 July 2006, Page 2661-2664. Manoj Kumar Meshram, “Design of Rectangular Microstrip Antenna Using Multilayer Perceptron Neural Network (MLPNN)”, Proc. International Symposium on Microwaves, 1-3 Sept. 2004, Bangalore. Manoj Kumar Meshram and Karun Rawat, “Design and Study of Parallel Edge Microstrip Coupler for Millimeter Wave” National Seminar on Material and Devices, M.J.P.R.U. Bareilly, March 9-10, 2002. Manoj Kumar Meshram and Babau R. Vishvakarma; “Analysis of 4-Element Triangular Microstrip Array Antenna For Circular Polarisation” National Symposium on Antennas and Propagation, APSYM-2000, 6-8 Dec. 2001, Cochin University of Science and Technology, Cochin (India), pp. 32-35. Meshram, M.K. and Vishvakarma, B. R., "A Wide-Band Gap-Coupled Microstrip Array Antenna", Proc. IWTS-2000 (Malaysia). Manoj Kumar Meshram and Babau R. Vishvakarma; “Analysis of Ferrite Fed Microstrip Array Antenna”, Proceeding of the National Seminar-SASESC-2000, March 4-5, 2000, Agra (INDIA), p.p. 512-516. Manoj Kumar Meshram, “Frequency Scanning Microstrip Array Antenna”, 87th Indian Science Congress Association, 3-7 Jan’2000, Pune University, Pune. (Best Paper Award). 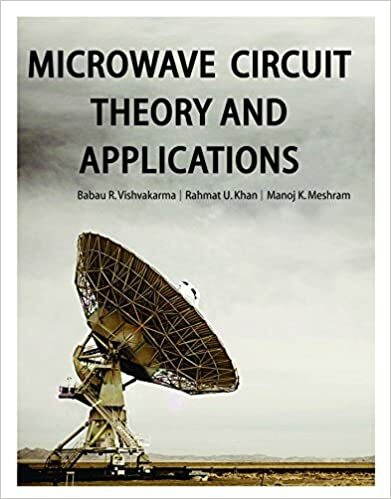 B. R. Vishvakarma, R. U. Khan, and M. K. Meshram, Microwave Circuits Theory and Applications, AXIOE Books, India, 2012-13. ISBN: 978-93-82355-17-5. 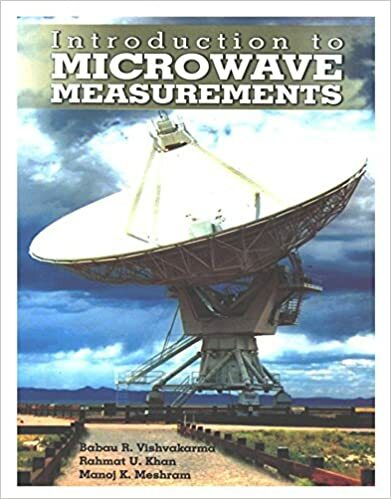 B. R. Vishvakarma, R. U. Khan, and M. K. Meshram, Introduction to Microwave Measurements, AXIOE Books, India, Aug 2012. ISBN: 978-93-81124-44-4. INSA-DGF Fellowship 2017 to visit Germany for three months (1 June 2017 to 31 Aug 2017). Transfer of Technology to Defence Avionics Research Establishment (DARE), DRDO, Bengaluru. Gandhiyan Young Technological Innovation Award 2015, Festival of Innovations, Rashtrapati Bhawan, New Delhi, 7-13 March, 2015. BOYSCAST Fellowship 2009-2010 for conducting advanced research on breast cancer detection with Prof. Natiala Nikolova at McMaster University, Hamilton, Ontario, Canada for 12 months. INSA (Indian National Science Academy, India) fellowship to visit South Korea for two months under Bilateral Exchange Programme for the session 2008-2009 (Worked at Hanyang University with Prof. Jaehoon Choi, period: 13th June-8th Aug 2008). INSA (Indian National Science Academy, India) fellowship to visit UK for three months under Bilateral Exchange Programme during 2007-2008 (Not availed). Best paper award during 87th session of Indian Science Congress, 3-7 Jan’2000, Pune University, Pune, India. Elsevier Journal of Electronics and Communications. Journal of Microwaves, Optoelectronics and Electromagnetic Applications, Brazil. Indian Journal of Radio and Space Physics, India.